Families form in a variety of ways. Some members are born, while others are sought. Some members are inherited, and some are a surprise. 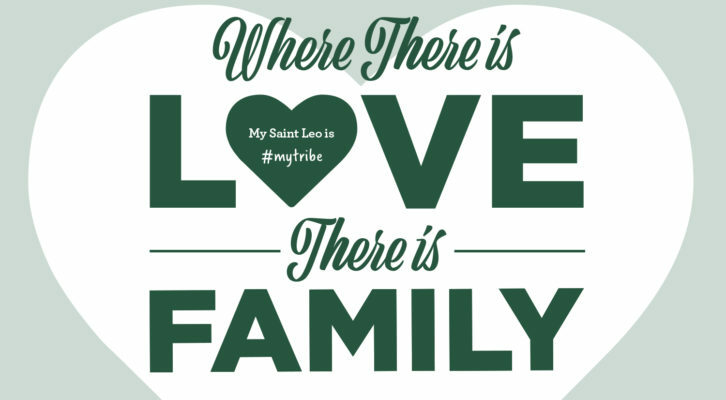 Within the Saint Leo community is an array of blended families. There are faculty and staff who commit to taking students under their wings, ensuring their success and well-being, and students who take care of one another. Here, we profile the matriarchs of three such families in the Saint Leo community. Great people, great children come through the doors of Saint Leo, said Ephonia McCobb, or “Ms. Evon” as she’s known to the Saint Leo community. 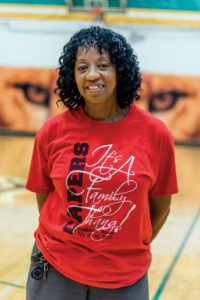 A housekeeper in Facilities Management, McCobb takes care of the Marion Bowman Activities Center and its many student-athletes, coaches, and staff. At the Marion Bowman Activities Center, where she began working in 2006, McCobb does more than take care of housekeeping. She takes care of Saint Leo’s student-athletes as if they were her own children. And she takes care of their families, too, reassuring them that their children will be just fine at Saint Leo. For nearly four years, Nancy Cheek has worked to create a close-knit community where no physical community exists. As associate director of Career Services, she helps hundreds of students each year with their career needs—no matter where they live—most times never meeting face to face. 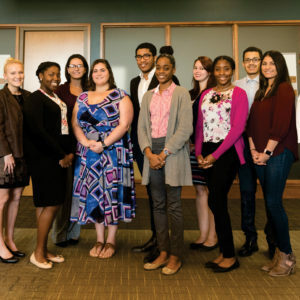 With a large portion of Saint Leo students attending school online or at education centers across the United States, Cheek is passionate about ensuring remote students feel supported in achieving their careers goals. While not able to physically be with them, she uses email, photographs, social media, video conferencing, phone calls, and online webinars to build relationships across the Internet. 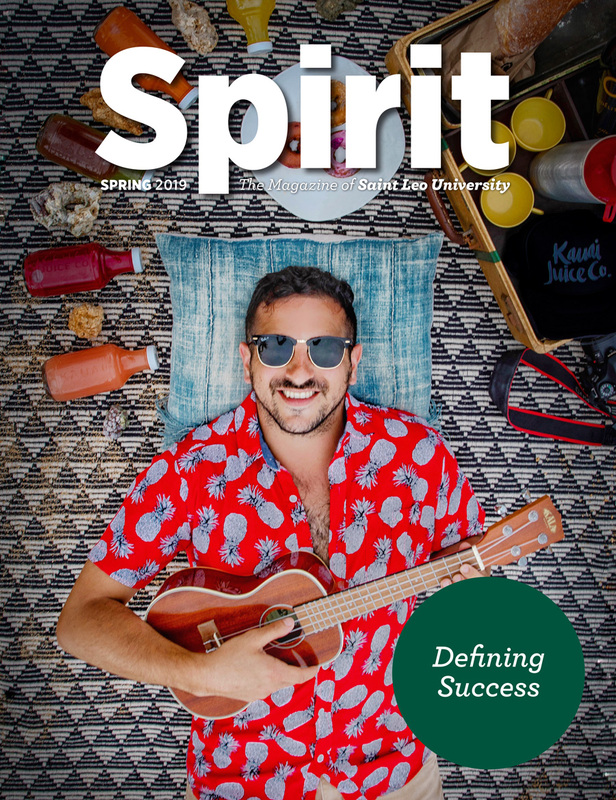 “Our goal is to make online students feel like they are part of a community without ever coming into an office,” Cheek said. 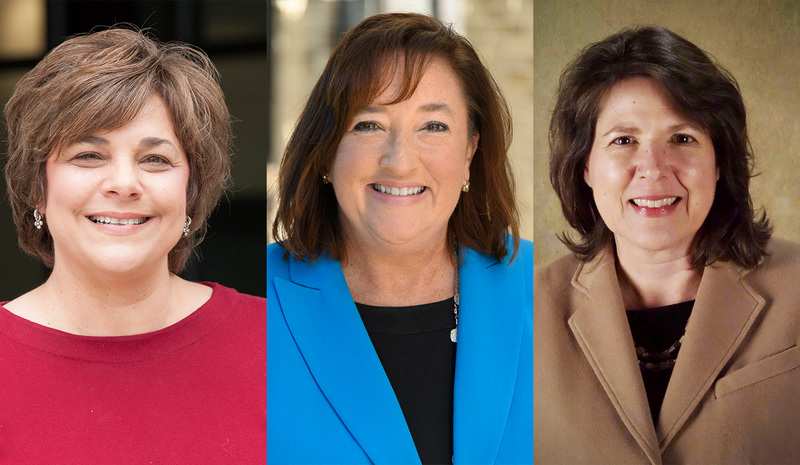 Countless students have thanked Cheek for her support. 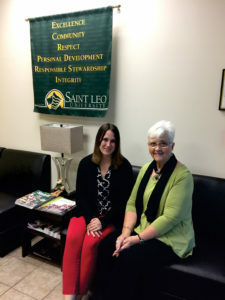 She recalls the story of a student who decided to attend Saint Leo after retiring from a 20-year career in the military. He lived in a remote part of Florida and needed help assessing career options. “I just want to say thank you again for all the helpful guidance you gave me,” wrote the student. “You said I did all the hard work, but I never really felt like I was doing it alone.” After working together for some time, the student Cheek helped was able to land a job with a government agency. Dr. Joanne Roberts with spring 2018 scholarship recipient, Justina Guptill. Every spring and fall, a new group of transfer students in their 20s and 30s enroll in the education program at the Gainesville Education Center in central Florida. The future elementary and middle school teachers form cohorts as they make their way together toward their teaching degrees. They attend rigorous classes four nights a week while holding down full- or part-time jobs to pay expenses. Luckily, they enjoy the kinship they develop within their cohorts and benefit individually and collectively from the benevolent leadership of Dr. Joanne “Tippy” Roberts, professor, advisor, and retired public school system teacher and principal. Roberts says she understands why the classes become close-knit. These young adults—often the first in their families to attend college—receive moral support from one another as they proceed through a tough curriculum. “Our cohorts sometimes spend more time with each other than with their own families,” Roberts said. So her approach incorporates two philosophies. The first is that the program at the center will create a sense of belonging for all committed education students. The second is that the student kinship can be nurtured into professional collegiality that will serve them well in their careers. Recent middle grades education graduate Justina Guptill ’18 affirms that “the education program is special all in its own because you really get to know your professors and classmates. You spend so much time as a cohort, it becomes impossible to do anything other than care for the people around you and help in their successes as well as your own. Dr. Roberts put together a very caring faculty to help create the family atmosphere throughout the entire program!” The faculty she is referring to includes adjunct instructors and professors Roberts hired and supervises to teach the education courses in Gainesville. The adjuncts are a vital part of the family, as well. Given Roberts’ multiple responsibilities, it is difficult to quantify the impact she has made during her years at Saint Leo. By her own count, Roberts estimates she has worked with 450 undergraduate and graduate students in various educational programs at the center. Although Roberts considers teaching the hardest job in the world, second only to being a parent, she said she cannot imagine doing anything else with her life or finding a deeper sense of fulfillment in any other learning environment. 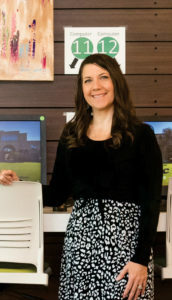 Jo-Ann Johnston earned her bachelor’s degree from Syracuse University (NY) and her master’s degree from Bay Path University (MA). 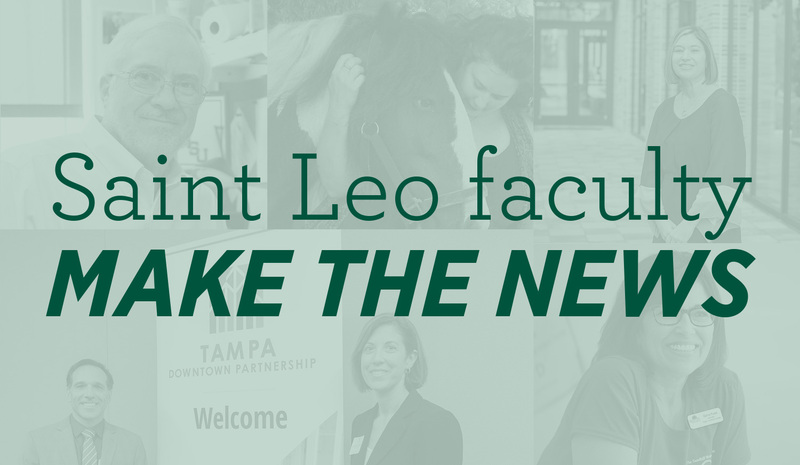 She joined Saint Leo University in January 2008. The opinions expressed in this magazine are those of the authors and do not necessarily represent the views of the university. Copyright Saint Leo University. All Right Reserved.